Now that New York Fashion Week Men's has ended, I can finally post about it! I throughly enjoy Men's fashion week because it's less stressful, and there's no grand pomp and circumstance surrounding the occasion. The guys just come, view the collections, and go about their business. A good time! 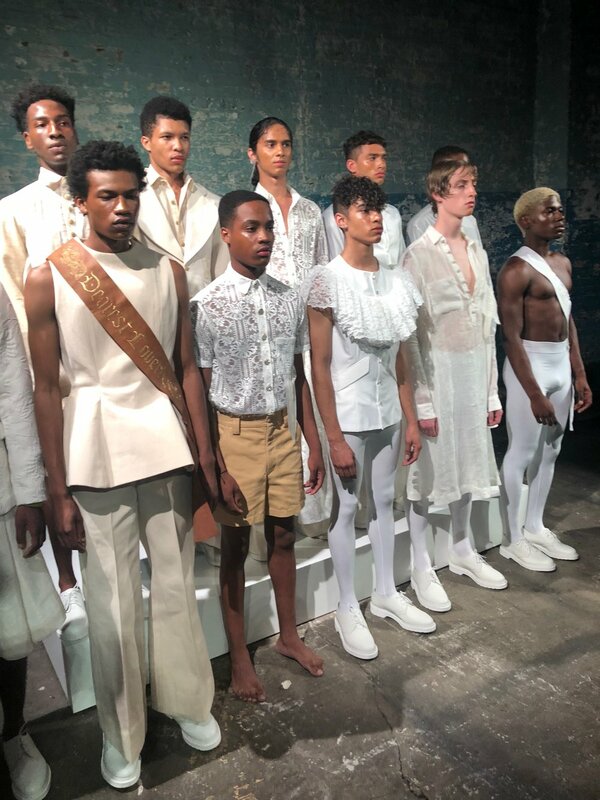 This season, my top favorite shows I was blessed to attend where the NYMD Fashion collection shows, Linder, and Kenneth Nicholason! This season was extra special to view as all of the collections were geared towards gender inclusion and the blurring of gender lines. You all know I'm a stan for gender non conformity! Kenneth Nicholson's collection touched upon this matter. Alas, I still can't wait until September for Women's fashion week when the city will be extra bright and I'll be extra tall because of my six inch heels!